CYP HDMI to DVI / SPDIF audio Converter.Converts digital HDMI to DVI-D and SPDIF audio output. 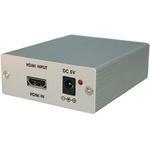 This converter box is designed to convert video and audio signal from HDMI source to DVI plus Coaxial audio outputs. 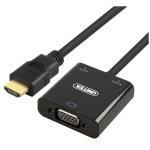 The product allows you to connect the HDMI source to a display with DVI input meanwhile extract digital audio signal from the same source to an audio receiver. The HDMI converter box also does signal amplification and equalization for incoming TMDS data before re-transmitting them with optimal quality regardless of the incoming signal quality. Therefore, its output could be connected to an HDMI device, with a DVI to HDMI cable or adapter, to be utilized as an HDMI repeater. 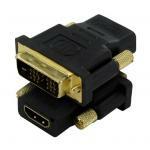 - HDMI 1.2, HDCP 1.1 and DVI 1.0 compliant. 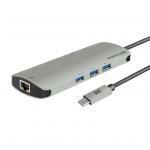 - Supports HDMI input and DVI (or HDMI, using proper cable/adapter) with Coaxial output. - Detects input format between digital RGB and YPbPr automatically. 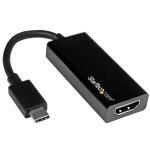 - Supports input/output video resolutions up to UXGA (PC) or 1080p@ 60Hz (HDTV). - Supports input/output digital audio signal of LPCM, Dolby Digital or DTS. 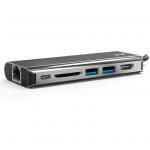 - Supports HDMI signal amplification and equalization. - Easy to install and to operate. PB Tech price: PB Tech price: $221.74 ex. $255.00 inc.